HIM professionals who take a quick trip around the Internet will find a multitude of articles, thought leader columns, and helpful websites detailing how hospitals and other health care organizations can best ready themselves for a dreaded recovery audit contractor (RAC) visit. Everything from how to shore up documentation improvement initiatives and internal controls to educating staff and proactively minimizing the potential for noncompliance is part of the new reality ever since the RAC program was set into motion in all states as a requirement of the Tax Relief and Health Care Act of 2006. That’s one end of the RAC spectrum, the side that receives the most attention because providers naturally care more about what’s happening inside their walls. But in reality how the RAC program itself operates carries more weight in the grand scheme of things. In that regard, it’s important to understand how the process can be tweaked and improved to make life easier for all parties. Specifically, data from the AHA’s RACTrac Survey—which covers the start of the program in 2010 through the fourth quarter of 2013—revealed that 49% of RAC denials were appealed by hospitals and 64% of these denials were overturned in favor of the hospital. According to several industry professionals, lengthy appeals processes and increasing revenue cycle risk associated with delayed Medicare reimbursement have increased frustrations over time within the hospital community. Pat Hurley, RN, CPC, a denial prevention coordinator with Atlantic General Hospital, a 62-bed facility in Berlin, Maryland, believes hospitals must keep working with industry leaders to improve the RAC program’s overall scope and direction. “I think we need to keep trying to use the RACTrac Survey to compare this ever-changing data and help the AHA gain insights to give to the legislators,” she says. While the industry continues to grapple with how best to level the playing field between hospitals and the CMS, professionals working in the trenches identified several areas where the process is lacking. RAC timeframes can be confusing, especially if the organization legislating deadlines isn’t following what they have published, says Rachel Nelson, RHIA, CPC, the HIM director and compliance officer with Arkansas-based Mena Regional Health System. “If [RACs] could meet timelines the way that they are supposed to, it would help tremendously,” she says. When a hospital receives a chart request from a RAC, the organization has 45 days to deliver the documents. In turn, the RAC has 60 days to render either a review results letter (a complex review) or a demand letter (an automated review). If an overpayment is identified, hospitals can participate in a discussion period to provide additional information to the RAC and discuss why recoupment should not be initiated. At the first level, an appeal must be sent to the Medicare administrative contractor (MAC) within 120 days of the initial overpayment determination. The MAC is afforded 60 days to make a decision regarding the appeal. The second appeal level, which must be received by a qualified independent contractor within 180 days of the MAC’s first-level decision, also affords a 60-day window for a final decision. The third and fourth appeal levels require an administrative law hearing and an appeals council review. Both must be submitted within 60 days from the previous appeal’s decision and each allows 90 days for a final decision to be made by either an administrative law judge (ALJ) or a Medicare appeals council. The final level, which requires judicial review, must be submitted within 60 days of the Medicare appeals council. At this level, there is no identified timeframe for a final decision. She adds that the sting of the appeals process could be decreased if hospitals were permitted to return only a percentage of the payment at recoupment if the second level appeal is denied and the organization chooses to appeal further. As part of the improvements introduced in the CMS February announcement, RACs will have to wait 30 days to allow for a discussion before sending the claim to the MAC for adjustment. This keeps providers from having to choose between a discussion process and an appeal. Also, RACs will be required to confirm receipt of a discussion request within three days. When debates and disagreements regarding recoupment can be ironed out during the discussion period, hospitals can avoid the lengthy appeal process. Despite any shortcomings, hospitals must dedicate the necessary resources to respond to a RAC in a timely manner, especially during the appeals process. “If hospitals are one day late with submitting the record, we will be denied payment,” Hurley says. 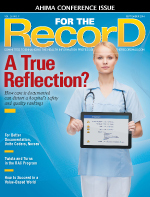 As of April 15, 2013, a RAC can request a minimum of 20 records in a 45-day period, down from the prior 35-record minimum. Malcolm suggests that better coordination between government and private auditors to minimize the impact would be beneficial, especially if the total number of documentation requests is capped to a specific number according to facility size and demographics. At Mena Regional Health System, communication with the RAC has been problematic, according to Nelson, who often gets passed around in a fruitless search for answers. “I would contact [the RAC] about a claim, then get told to call CMS. Then they tell me to call [the RAC] because they didn’t have the information requested,” she says. In June, the CMS announced the establishment of a provider relations coordinator to help increase program transparency and offer more efficient resolutions to providers affected by the medical review process. In essence, the position, held by Latesha Walker, RN, BSN, MS, is designed to bolster communication between providers and the CMS. Health care organizations with suggestions on how to improve the processes or questions about a particular problem can contact Walker at RAC@cms.hhs.gov (for RAC review process concerns/suggestions) and MedicareMedicalReview@cms.hhs.gov (for MAC review process concerns/suggestions). She also believes the CMS should consider eliminating new documentation requests or new fund recoupment until the existing third-level ALJ appeals are nearing decisions or overturned appeals have been repaid. In terms of RAC audits, Hurley says the rule has become a huge headache for hospitals. In fact, the rule has come under fire for creating mass confusion within the industry, resulting in the CMS twice delaying the timeframe for RACs to target violations. As it stands, auditing for stays falling under the two-midnight rule will not begin until March 31, 2015. Recently, the CMS indicated interest in soliciting public comments to help determine a more effective definition of the rule and ascertain whether there are alternative payment systems that could apply criteria more accurately for short hospital stays. In the meantime, hospitals get a slight breather from new RAC audits as the CMS considers how to improve processes moving forward.